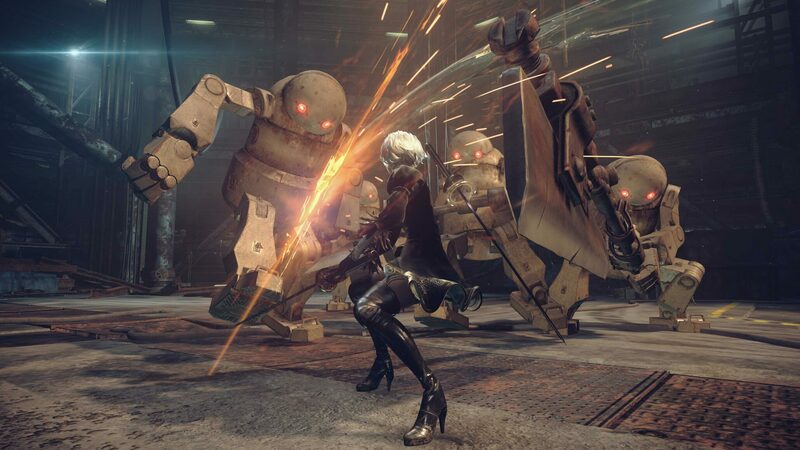 Square Enix and Platinum Games have talked quite a bit about Nier Automata in the past few weeks, but it seems like there’s still a lot we don’t know about the action game launching next month in the West on PlayStation 4. Today, new gameplay footage has been made available, and a new gameplay mechanic has been detailed. The new Nier Automata gameplay footage shows the exploration of a more open area as well as plenty of combat. You can check out the video right below. Alongside the new footage, a new Nier Automata focused post appeared on the Official PlayStation Blog, giving some new details on the game. Among the most interesting things revealed in the new post are the death mechanics, which sound incredibly interesting. Attempt to repair the body. If players attempt to repair, they could be successful and reactivate the body to help in battle. Players can also be unsuccessful, as the body may have become corrupt, causing it to become hostile. If players defeat their former selves, they gain an enhanced bonus. Nier Automata launches next month on PlayStation 4 in North America and Europe. The game is also releasing on PC, but a launch date has yet to be confirmed. We will keep you updated on the matter as soon as more comes in on it, so stay tuned for all the latest news.